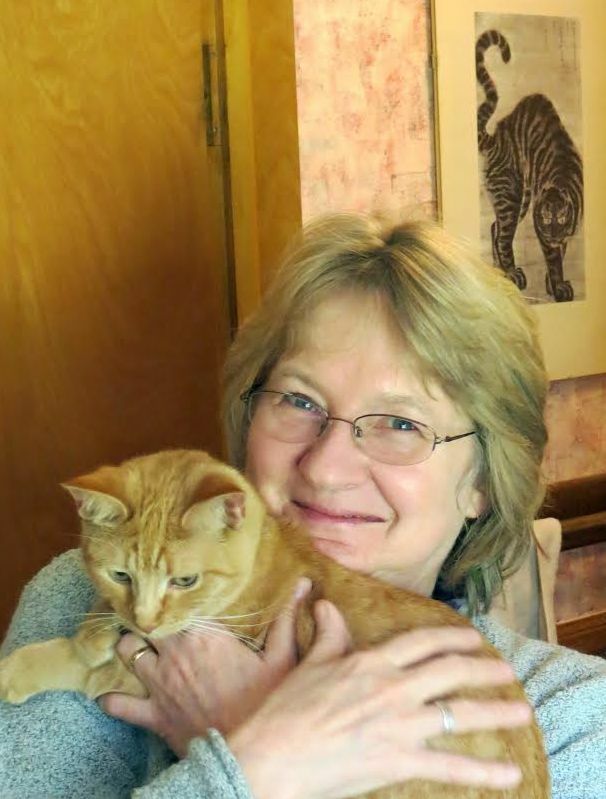 HANK PHILLIPPI RYAN: We at Jungle Reds have so much in common. Rhys just got back from Italy, and the rest of us long to be there. Today, the terrific Sarah Wisseman takes us there—but not to the Italy most of us ever get to see. Sarah knows the secret places. The hiding places. And –just as fascinating—what might be hidden there. Stolen art, exploring under Rome, and Italian food, what could be better? 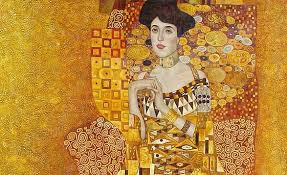 The movies The Monuments Men and The Woman in Gold gave me my excuse. Suppose you are a wealthy, Jewish art owner living in Rome during World War II and you’ve just heard Hitler’s art brigade is about to raid your apartment? Where would you stash your art collection in a hurry? Hopefully, you have a neighbor or family member with another apartment or a country house available. You wouldn’t choose a dank, underground location for priceless paintings—not unless you were desperate and thought you could retrieve the art work before dampness and critters destroyed it. In my latest mystery, Catacomb, someone succeeds so well in hiding valuable art under the city of Rome that the Monuments Men—the intrepid group of curators and scholars recruited by the Allies to recover Nazi-looted art—miss it. It would be easy to miss a few crates stuffed in a cavity under Rome. The city stands on a fragile bed of limestone riddled with sinkholes and fissures. Not only are there hundreds of kilometers of Jewish and Christian catacombs (burial tunnels and chambers), but there are also ancient sewers, aqueducts, and quarries intersecting with modern subway tunnels. Even the Sotterranei di Roma, a team of expert geologists and spelunkers who collaborate with archaeologists, haven’t explored or mapped them all. And the ones they have found are crumbling to bits and subject to frequent flooding. I loved doing the research for this book, especially finding stories I could incorporate in my novel. One was the saga of Cornelius Gurlitt, a Munich art dealer who kept a stunning collection of looted art in his Munich apartment until the Carabinieri finally uncovered it four years ago. Another source described a young woman flirting with a Nazi officer while her friends rescued stolen art destined for Hitler’s coffers in Berlin. The sad part is that, despite the best efforts of people all over Europe, over 2,000 of those artworks stolen during World War II are still missing today. Well, you don’t have to be living in 1940s Europe to need a place to hide people or valuables. In my hometown, tunnels under our downtown streets were once used to escape from Prohibition agents. Do you have any unexpected hideaways where you live? HANK: There are rooms behind the walls of the tunnels in Boston, very cool. The State House has them—and –my favorite—there are unused MBTA tunnels, just like the ones in New York. WHO knows hat might be there. What if..that’s where the Gardner Museum photos are hidden. Hm. Big hmmm. Dibs on that book. Off to write a synopsis. But yeah, do you have any unexpected hideaways where you live? Art conservator Flora Garibaldi is just getting the hang of her new job restoring paintings in Rome, Italy. 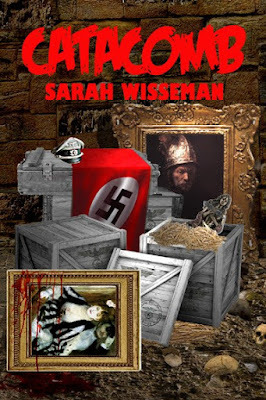 Then her policeman boyfriend, Vittorio Bernini, asks her to join a risky search under Rome for a lost trove of Nazi-looted art worth millions. 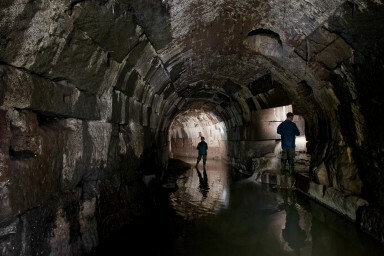 Along with an international team of art experts, they face the daunting task of locating art in miles of underground tunnels. After they discover evidence of recent digging underground, one of Vittorio’s Carabinieri colleagues is murdered. Flora and Vittorio find themselves up against a group of ruthless art thieves who will do anything to prevent the discovery of the art and its return to its rightful Jewish owners. Alas, no unexpected hideaways that I know of . . . this is fascinating, though. It’s sad to think of people hiding their valuables in catacombs and tunnels, but it sounds like a fascinating book. I’m definitely adding “Catacomb” to my teetering to-be-read pile . . . . There is a never-used subway under Cincinnati's do wrong streets. I've never been there, but it fascinates me. When I was in Munich this past week, walking through the city to the English Gardens, my friends pointed out where that apartment was. And we talked about how man works of art might still be found. Sarah, I just bought your book! Sounds delicious. No catacombs here, although with all the dust under my bed, I'm pretty sure someoneis either coming or going. Forgot to say that I love that you named Garibaldi's sidekick Bernini! I don't know of any hiding places, but I love the sound of your book! Will add it to the teetering TBR stack. So great! The book sounds terrific! Maybe we should talk about hiding things-/have you ever hidden something for safekeeping and then forgotten where? Sarah, this sounds fascinating and makes me yearn to return to Rome and explore the underground spaces. Our town in Madison is pretty secret-free, until I think about the historic old church on the green. The bell tower? the organ pipes? I keep hearing about tunnels behind some of the old breweries in Pittsburgh, but I have no idea if it's true. Oh Hank. Finding something then forgetting where? The ultimate "safe spot" right? I'm a master at it. Just last year the hubby took away The Boy's iPod and the Wii for some reason or another (can't remember why). Came time to return them and...nothing. We searched this house from top to bottom - and it's not a big house. Both items were found, eventually - but by accident. The iPod was tucked in a pair of shoes the hubby never wears, and the Wii was up in the pipes in the basement ceiling, hidden by some unused wood boards. Archaeology, art, and a character named Flora? I'm in!!! And Italy is a big plus!! And Ohio has its share of rockshelters and caves--it's every archaeologist's dream to find an unlooted rockshelter (preferably free of timber rattlers!). Yes, two ghost subway stations in Toronto. The Lower Bay station (apparently haunted) was used for 6 months in the 1960s, then abandoned, except for movie shoots and very rare rerouting. And Lower Queen. Never used at all, except by urban explorers. Sarah, your book sound delish! Rome! Stolen! Murder! WWII history!! Can't wait to read this. No hidden places that I know of where I live, but there are certainly lots of hidden places in London, where my books are set. I've always been fascinated by what's called "London underground"--this includes sewers and old Underground tunnels--but haven't figured out a plot to use them! No hidden places that I know of where I live now, but as a child we had a series of tunnels that ran from some defunct industrial plants to the river. We played in them often and sometimes we would find evidence that people lived in them for a while at least. Then there was the house my parents looked at with an eye to buying. It had been a stop on the underground railroad and had both a tunnel (I don't remember where it ended up--a church maybe) and a hidey hole built into it. I really wanted my parents to buy that house and lobbied enormously. Unfortunately, my father decided it was too much renovation. Drat! When I lived in NYC a friend's brother was a transit cop. He took a couple of us through the subway tunnels to some of the unused stops. One, somewhere near Central Park, had a chandelier and a badly detuned grand piano. Most of Manhattan is connected by tunnels of one sort or another. Some, like the subway tunnels are used for maintenance and emergency evacs. Others, like the ones in midtown, connect various transportation depots and buildings. Oh, gee: two more series that I MUST read! I don't think there are any hideaways here - unless they are so well hidden that they haven't been found. Just remembered that many, many years ago I lived in a house where the bedroom used by my two youngest sisters had closets within closets, which I thought was pretty neat! Imagine what could be hidden there! A closet in a closet. Oh, Deb Ro. . I just remembered in the house where I grew up, there was a door in the front hall closet. It led to a ladder, that led to a sub-basement. I can picture it, perfectly, although I'm not sure if i ever actually net down there. I have a short story about it, but saving it. Just finished a wonderful book by Juliet Blackwell, The Paris Key. More tunnels--and catacombs--under Paris! I must go explore those. Paris, anyone? Sarah, tell us a bit more about the book -- how much did you know when you started? Years ago, when I worked for the Dallas Symphony Orchestra, they played the world premiere of a symphony by Paul Kletzki. Kletzki had been a prodigy on the orchestral scene before WWII, as a violinist and conductor, as well as a composer, but he was Jewish, and when Hitler came to power, Kletzki's music publisher destroyed all the engraved printing plates for his music, calling him a "degenerate" composer. From then on, he always traveled with a trunk holding his own personal set of printed copies of his music--to his knowledge, the only copies left on the planet. Then, one night, as he finished conducting a performance at LaScala, in Milan, friends warned him that the authorities were coming for him. He had to make his escape immediately, and he had to leave his trunk full of music behind. Kletzki survived the war, and eventually came to Dallas to serve as the DSO's conductor for a couple of years, but he never composed again. Then, in the 1970's, and just a few months before he died, LaScala called him. They'd been renovating, and they found this trunk with his name on it. Did he want it back? Although Kletzki was afraid to open it--saying he couldn't bear to lose his music again if water, or mice, or bugs had destroyed it--his wife opened it soon after his death. All the music was there, in perfectly fine condition. She donated it to a library in Switzerland, where a musicologist who specializes in finding lost Jewish music from before WWII brought it to the DSO's attention. Credit Maestro Andrew Litton with realizing the importance of performing Kletzki's work once more, and bringing it back into the world. I'm convinced there are more treasures out there, if we look. Must be very interesting to explore the catacombs or the underground stuff in Paris. We don't have any hiding places in South Florida. Dig too deep, and you hit water. Sheesh! We can't even have basements here because the water table is so high. I hope someone down here wouldn't leave priceless art in a compromised location! Well, your piece is well titled where I'm concerned, Sarah. I love archeology series, and here you are. I'm still scratching my head as to how I've managed to miss your books so far. I'll be rectifying that error. 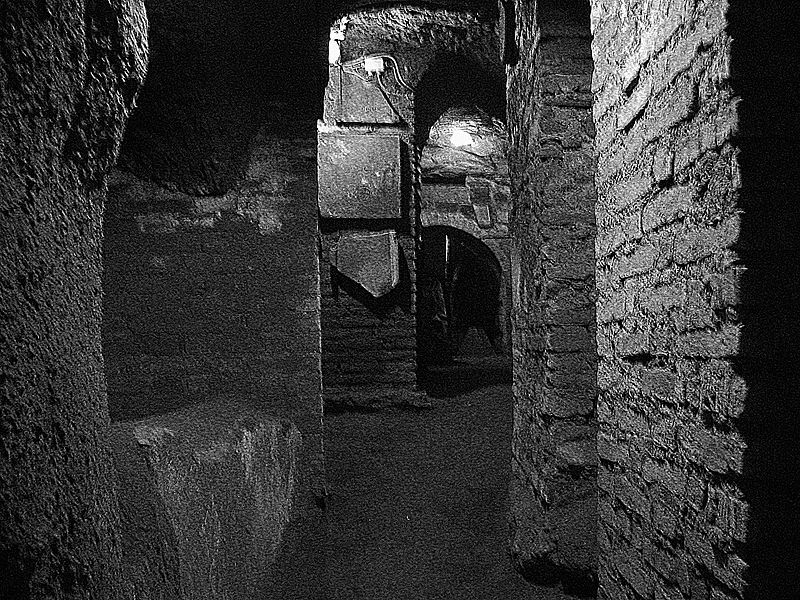 And, I love stories with hidden places, so Catacomb is, as they say, right up my alley. The hidden places that I'm most familiar with would be the Underground Railroad that was vital to escaped slaves in their journey toward freedom. When I was growing up, an aunt and uncle lived in a big plantation style house on a farm in Kentucky, and the house was reputed to have a secret passageway used as a part of the Underground Railroad. I was so fascinated by this information, and I remember trying to figure out where it would have been, as my aunt and uncle didn't seem to know. My best guess was somewhere around the gigantic fireplace, but, alas, I was a bit too young to really do serious exploring while I had the chance. Also, growing up in Maysville, KY, there was indeed a famous Underground Railroad station house just up the river in Ripley, Ohio called The Rankin House. Its location on the Ohio River was the perfect setting for those crossing the river to the north. A candle would be lit and placed in the window to indicate it was safe to come to the house. A link to Rankin House is http://www.ripleyohio.net/htm/rankin.htm The National Underground Railroad Freedom Center is a bit more east in Cincinnati, http://www.freedomcenter.org/ I'd like to visit the Freedom Center on one of my visits back to Maysville. Have you been to it, Karen? GIgi--that is a breathtaking story. Oh. Haunting. Thank you. What a good YA story you could make of that, Kathy! Maggie and Nancy--yes, that's a problem! You'd have to find someplace--up. Gigi, thank you for that wonderful "lost &I found" and fear of grat loss story. Deborah, one of the Lord Peter Wimsey mysteries, post-Dorothy Sayer's, uses the abandoned London Sewers to dispose of the body. Cannot remember the title, but I think the author is Jill Walsh Patton. Thanks again, Reds, for an interesting blog. No, I've not been there, Kathy. I keep meaning to, but haven't yet. No catacombs in Houston. They do have the tunnel system downtown for pedestrians but no hidey holes. We used to live in NE Ohio and some of the houses in this village were on the Underground Railroad. Supposedly any house with a painted white chimney and black band around it was a stop. I love the storyline of your book, Sarah. I am thrilled by all the comments! Going back to Hank's question (how much did I know when I started), the answer is: not enough. I have been in Italy multiple times, but not since 2008 and I only visited a couple of catacombs in Rome... I had to do so much research, online and in libraries to flesh out the geology, archaeology, and conservation aspects. Working as a conservation intern for one year got me started...but that's pretty far from being an expert! I also had to consult Italian friends on how the Carabinieri work with the other police forces in Italy. Their answer was, it's complicated. Depends on who's in charge, who gets to the scene first, etc. etc. My daughter has talked me into a mom-daughter trip to Italy in November (Emily will catch some attention with her long, blond hair). We'll make our base in Florence. She can explore all she wants; I will spend part of my time parked in cafes plotting the next book. Thanks so much, everyone, for participating!